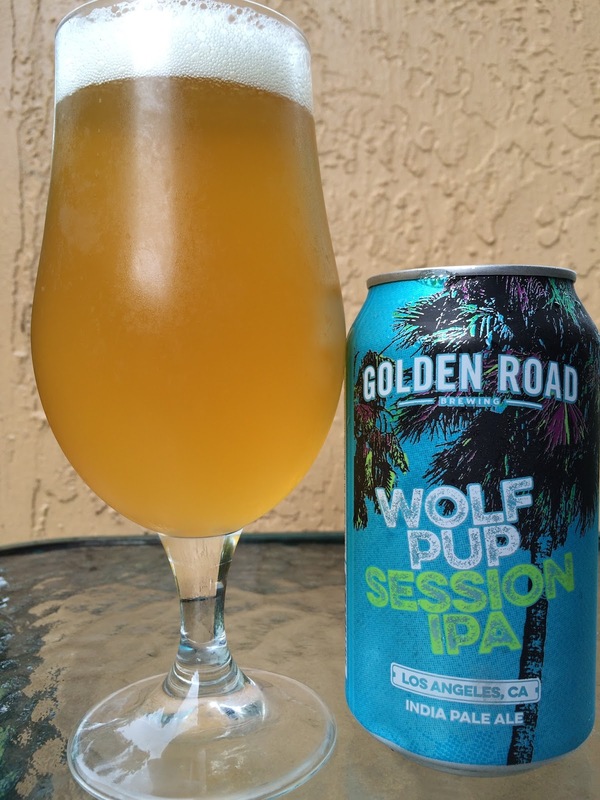 I was recently sent a can of Golden Road Brewing's Wolf Pup Session IPA. The brewery told me this is part of a trio of IPAs that they call "The Wolf Pack" that includes Wolf Among Weeds (8% alcohol), Wolf Mother (11.2% alcohol) and now Wolf Pup (4.5% alcohol, 50 IBU). 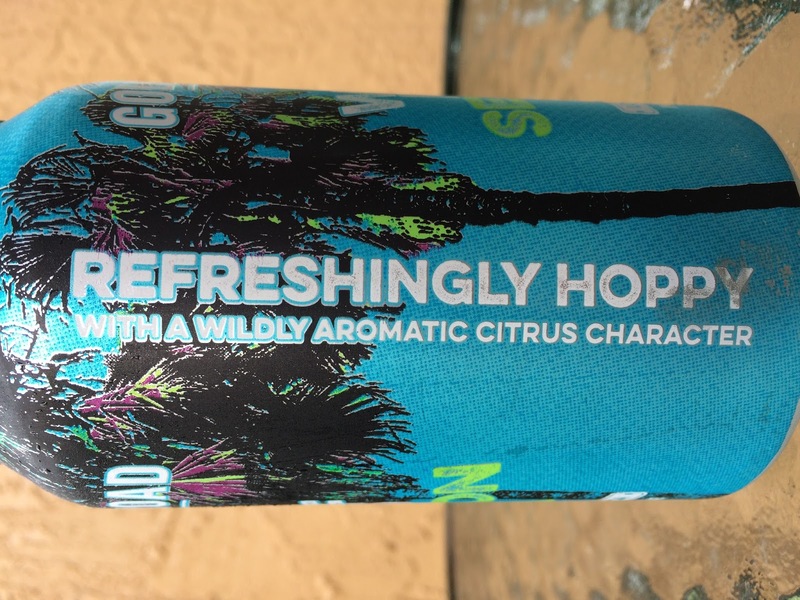 The can has a nice Palm Tree design and "REFRESHINGLY HOPPY with a wildly aromatic citrus character" posted to the side. Bright tangerine and citrus aroma with an awesome flowery component; sweet and tangy and definitely delivers on the "wildly aromatic" line on the can. Similar tangerine citrus flavors to start coupled with some sharp and bitter grapefruit rind. A little spicy with a tangy finish. Big refreshment. Reminds me of All Day IPA which is a huge compliment from me.